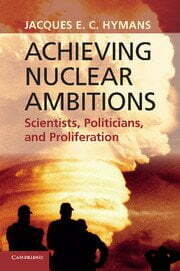 Over the last decade much of the best work in comparative politics and international relations has focused on explaining the onset and termination of civil wars. 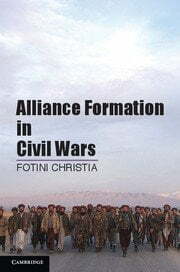 In her new book, Alliance Formation in Civil Wars, Fotini Christia seeks to explain the constant shifts in alliances that characterize these conflicts. 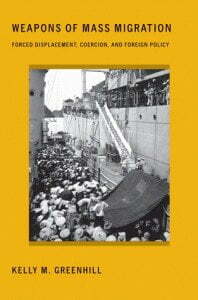 With a combination of theoretical richness, quantitative analysis, and extensive fieldwork in Bosnia and Afghanistan, Christia has produced an important and innovative book that will surely have an important influence on the field of civil war studies and international conflict. In the aftermath of the end of the Cold War, one of the first challenges to the illusion that the “end of history” had arrived was the breakup of Yugoslavia, as various republics—Croatia, Slovenia, Macedonia, and Kosovo—seceded or attempted to secede from the Socialist Federation of Yugoslavia. Conflict over secession from existing states was not a new issue since secession had plagued a number of new African nations such as Katanga’s attempted secession from the Congo and Biafra from Nigeria in the 1960s as well as the prolonged struggle of Eritrea to break away from Ethiopia since the 1950s. 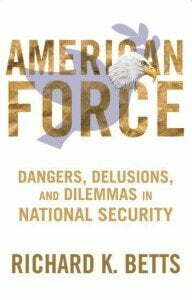 The Cold War, however, had significantly influenced the response of the major powers to secession, as Jonathan Paquin notes, with the United States opposing territorial changes as part of its containment strategy. 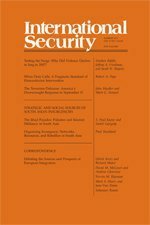 In A Stability-Seeking Power: U.S. Foreign Policy and Secessionist Conflicts, Paquin focuses on six cases: the four provinces of Yugoslavia, Eritrea and Somaliland, the northwest region of Somalia, that seceded in 1991.